Agriculture in needs an urgent reform before climate change generates a severe impact on food security, according to a new study published Monday. Beans, corn and bananas are delicate food that can be at risk in the region, where poverty could be reduced with an enhancement of agriculture activities. Researchers have proposed approximate timings to make reforms in the agricultural system in order to reduce climate change impact on harvests. It is calculated that about 800-850 people in the world are undernourished, as a response, agriculture offers a major solution for decreasing poverty levels, and increasing food security. It is expected that climate change will alter current production systems of agriculture. 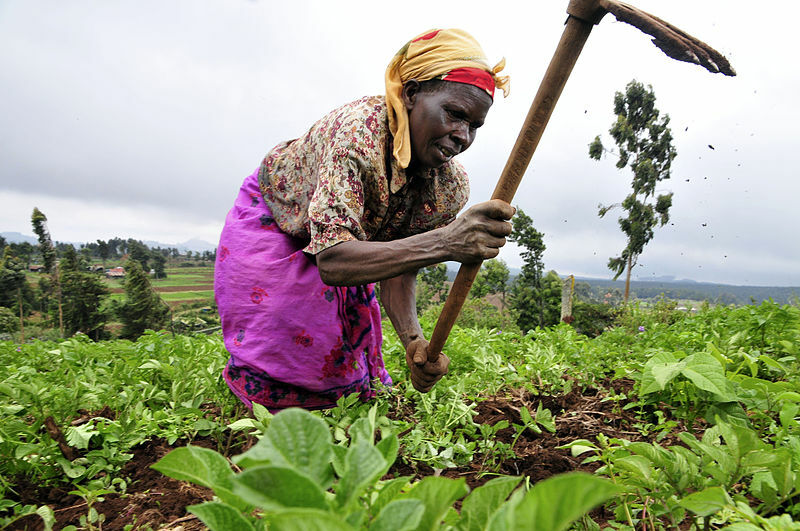 Researchers from the study said that the African region needs an adaptation in order to increase production and stability, to reach a standard level of food security among people. Findings were published in the journal Nature Climate Change. “We need to work on the barriers to the adoption of technologies, as we know that in Sub-Saharan Africa, adoption levels are sometimes low. What we also need to do is to put planned adaptation into national development plans,” said Dr. Ramirez-Villegas, co-author of the study carried by the Consultative Group for International Agricultural Research. There are certain options than provide solutions right now, and it is important to set deadlines to apply them, he told BBC News. Most of the Sub-Saharan regions might need a “transformational adaptation”, which can be understood as a change in the production system. For instance, livestock farming could substitute harvesting. Beans, corn and bananas, are among the most unstable and delicate foods that might end up affected if a transformational change is not carried out soon. Improving ways of managing soil, water and fertilization are other measures that can contribute to a new adaptation. According to Dr. Ramirez-Villegas, who was quoted by the BBC, 60 percent of bean harvest areas need an adaptation because climate change will considerably alter optimal conditions to grow the crops, that are highly sensitive to rises in temperatures. Currently, beans are a considerable source of protein in East Africa. Results from the study seem to suggest that up to 30 percent of corn and banana fields in the region will not be suitable for harvesting by the end of the century. Researchers propose that the scientific community and governments should work alongside with smallholders and farmers to achieve major improvements.